• It is widely believed among psychiatrists and laymen alike that Christmas and other holidays are associated with an increased incidence of psychopathology. Statistical studies, however, consistently have shown the Christmas season to be associated with a low incidence of suicide and psychiatric hospitalization. 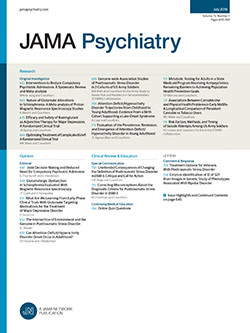 The present study examines the number and type of visits to a 24-hour psychiatric emergency service over a seven-year period. There is a decrease in the number of visits during the days and weeks before Christmas and an increase of roughly the same magnitude afterward. The effect is more prominent for women and older persons but does not seem to differentially affect persons of different racial, marital, or diagnostic status.